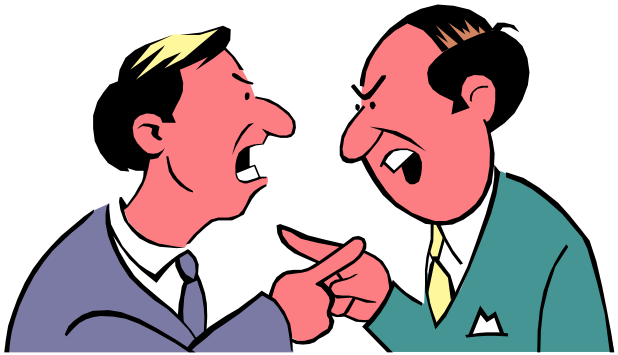 Conflict can be defined as a series of disagreement or argument; incompatibility between opinions etc. Disagreement, argument, etc. are the words that make us better understand that there is conflict. Difference in goals, expectations and values, etc. can be said as factors influencing the conflict to arise. 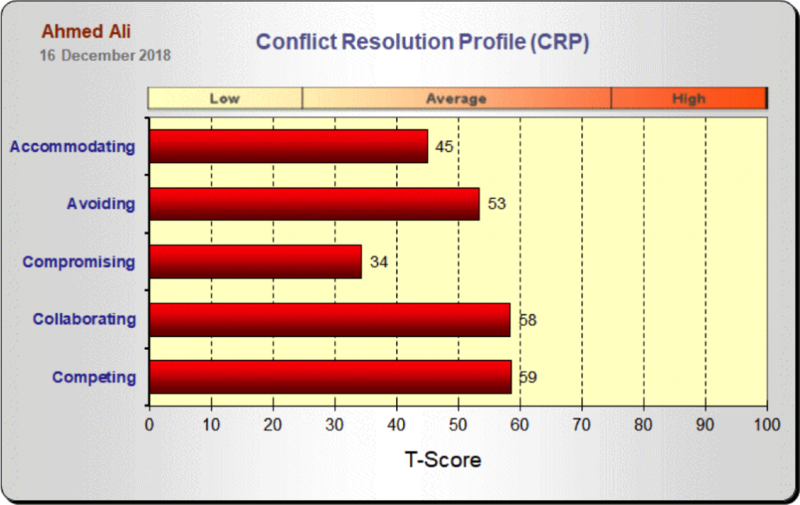 The Conflict Resolution Profile (CRP) is a self-report assessment based on the managerial grid developed by Robert R. Blake and Jane Mouton in their Managerial Grid Model. The Blake and Mouton model uses two dimensions: “concern for people” is plotted using the vertical axis and “concern for task” along the horizontal axis. These dimensions interact to show five different styles of management. Your CRP Profile & Interpretive report will provide you with information on how much you use each of these five conflict-handling modes. 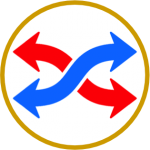 This assessment identifies five different styles of conflict: Competing, Avoiding, Accommodating, Collaborating, and Compromising. Competing: High assertiveness and low cooperativeness. The goal is to “win”. Avoiding: Low assertiveness and low cooperativeness. The goal is to “delay”. 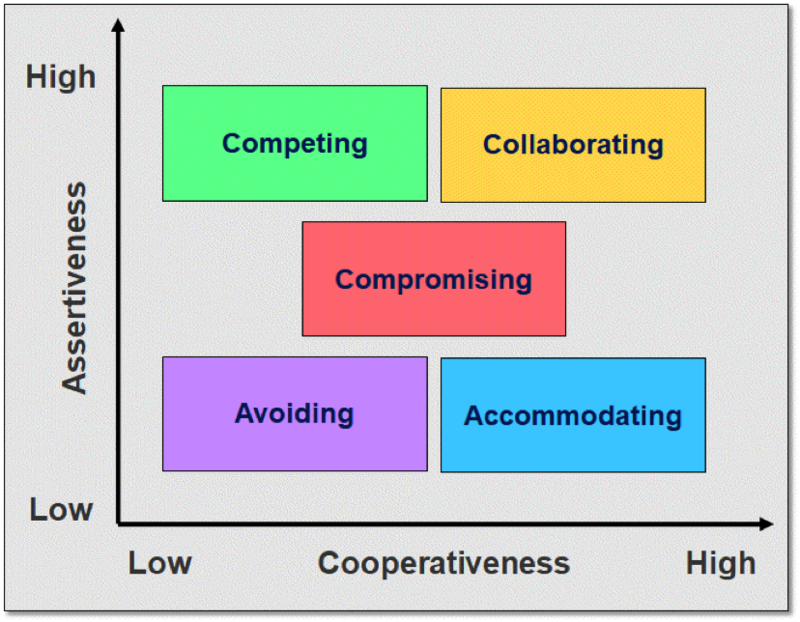 Compromising: Moderate assertiveness and moderate cooperativeness. The goal is to “find a middle ground”. Collaborating: High assertiveness and high cooperativeness. The goal is to “find a win-win situation”. Accommodating: Low assertiveness and high cooperativeness. The goal is to “yield”. Team building – improves team functioning, helping members work together more effectively. Leadership – enhances leaders’ conflict management skills and ability to reconcile differences. Performance improvement – helps eliminate barriers to success in the workplace. Stress reduction – gives employees the capacity and tools to remove a common cause of work-related stress. Retention – improves employee morale and success improve, enabling to build a stronger organisation and retain the best talent. Research shows that people are willing to switch out of their presumably dominant style on the basis of the contingencies they perceive in a conflict-producing event. Once you are aware of your own patterns, you can pay attention to whether they are working for you and you can explore alternatives.